Is CXP right for you? The emergence of the CoaXPress (CXP) standard gives developers of imaging and vision applications a new camera interface with which to work. Determining if the standard is the right choice for your next project requires careful consideration of both CXP’s features and your application requirements. This white paper introduces you to CoaXPress, compares it to established standards like Camera Link® and GigE Vision®, describes the applications for which it is best suited, and discusses how this standard may likely evolve. CoaXPress (CXP) is an asymmetric high speed point-to-point serial communication standard for transmitting video and still images over a coaxial cable. Originally specified by a consortium of camera and frame grabber vendors, it was adopted and is now maintained by the JIIA (Japan Industrial Imaging Association). In April 2011, it was approved as an international standard through the G3 Agreement (Cooperation Agreement on Global Coordination of Machine Vision Standardization) between the AIA (Automated Imaging Association), the EMVA (European Machine Vision Association) and the JIIA. 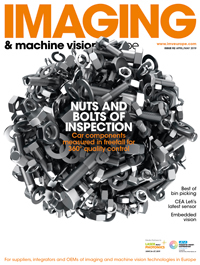 What advantages does CXP offer over other industrial camera interface standards like Camera Link® and GigE Vision®? CXP delivers greater bandwidth while addressing other vital requirements like reach, determinism, robustness, ease of upgrade, complexity and cost. To date, Camera Link® has provided the most bandwidth at 850 Mbytes per second (in 10 tap mode). But as sensor technology continues to evolve, this data bandwidth will not be sufficient for the new generation of larger and faster image sensors. To handle the influx of data and to be able to control the camera all through the same cable, CXP has a full duplex design. The downlink (from camera to frame grabber) can transmit image data at up to 6.25 Gbits/sec (Gbps) while the uplink (from frame grabber to camera) can handle command and control data at up to 20 Mbits/sec. Greater downlink performance can be achieved by combining links. You can, with link aggregation, join four links to obtain a peak bandwidth of 25 Gbps. Camera Link® is often criticised for having a maximum cable length of 10 metres (without the added burden of repeaters), which is not even at the maximum operating speed of 85MHz. CXP uses coax cabling and new transceiver technology to cover distances over 100 metres (without the need for repeaters). To compare, Gigabit Ethernet (used by GigE Vision®) has a similar range to CXP, but it lacks the low latency and low jitter trigger characteristics of CXP, which is necessary for applications that demand deterministic image capture and camera control. In addition to length, the flexibility of coaxial cable makes CXP well suited for applications where a camera is mounted on a moving arm. Coax has the added benefit of already being installed in many analogue systems, which makes it easier to move these to digital with CXP. Finally, CXP helps reduce cable complexity and cost by offering triggering and 13W of power over the same coax cable. On the software front, like GigE Vision®, CXP leverages the GenICam™ interface to provide a standard, yet flexible way to identify and control camera features. This simplifies the integration work for both component vendors and users. What applications does CXP target? Medical and defence applications are good candidates for CoaXPress because their analogue implementations routinely make use of coax cabling. With CXP, these applications can more easily be upgraded to use faster, higher-resolution and higher-fidelity digital imaging technology. CXP’s additional bandwidth also provides traditional high-end machine vision applications with the ability to handle higher production rates and perform finer inspections. The technology that was available when the standard was first put together, particularly the SERDES (serializers/deserializers) inside FPGA devices, limit the speed of a single downlink to 6.25 Gbps. The SERDES in next generation FPGA devices will handle higher speeds – possibly enabling up to 12.5 Gbps per downlink. There is also a working group looking at improving signal integrity to make use of these higher speeds over longer distances (using a single hop). Other users may want CXP to support image transmission at lower data rates (i.e., below 1.25 Gbps or CXP-1) over even longer distances (i.e., hundreds of metres), thereby providing an appropriate replacement for applications using legacy analogue cameras. In addition to the work that is being done on signal integrity to further boost speed and distance, there is work being done on cabling and interconnect. Although link aggregation is a good way of increasing bandwidth, the present need to use four BNC connectors makes it somewhat cumbersome. This is why the technical committee has set up a working group to investigate solutions for integrating multiple links into a single compact connector.